3D Body Cloud is a new online cloud platform. It is a B2B service that helps companies to transform digital full body 3D scans into sellable products. Our clients can offer a constantly expanding number of applications / products to their end-consumers, without having to worry on spending R&D resources to make that happen. We operate fully on the background by offering an easy to use cloud API, so typically the end-consumers don't know that our clients are using the 3D Body Cloud services for the processing. We don't need end-consumer accounts, don't need their email addresses and don't need to store the data on our servers. We just streamline the process to go from full body 3D scan to sellable products, by offering the black-box in the middle. The products we are offering are mainly focused on 3D photo items as well as digital media. Connect your full-body 3D scanner to 3D Body Cloud and automate your manual 3D processing tasks. Check here if your scanner can be connected. Pick an item and personalize it with your client's 3D photo. We have 3D printed figurines standing on a baseplate, keychains, automated rigging, mesh cleaning, virtual photographs and many more to choose from. Download the digital model or receive the produced item. 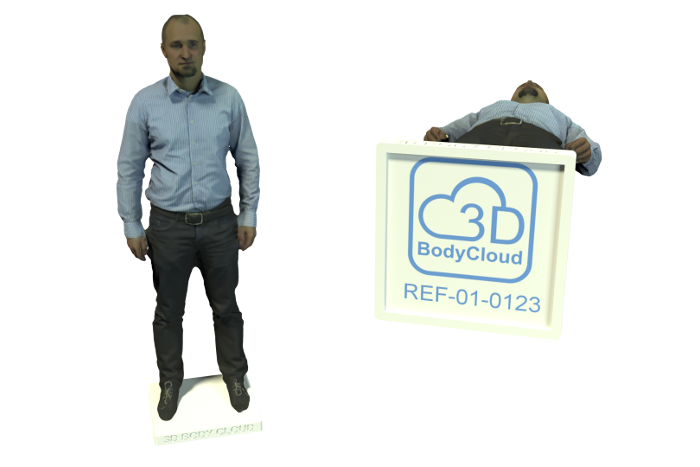 3D Body Cloud offers automatic processing services. Pipelines are built and configured based on the input data, product requirements and specific wishes of our clients. A multitude of modules (see modules) are available in our library and can easily be combined and configured into all types of products. Product examples are illustrated below. 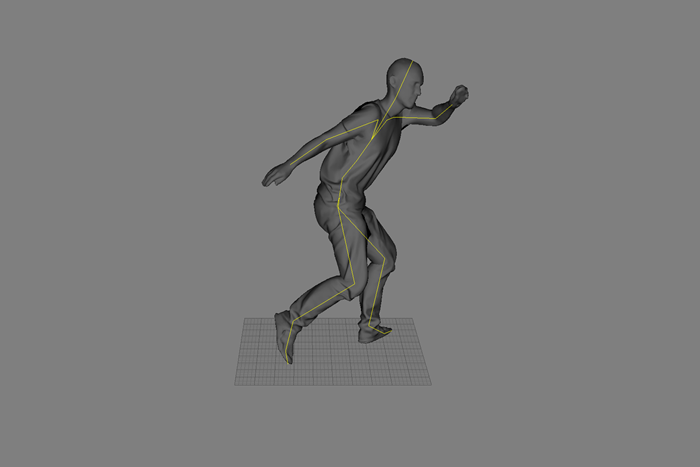 Automated pipeline which converts full body 3D A-pose scans into brandable animation videos. From personalized commercials to funny e-cards, the sky is the limit! Rigging is powered by Embody Digital. 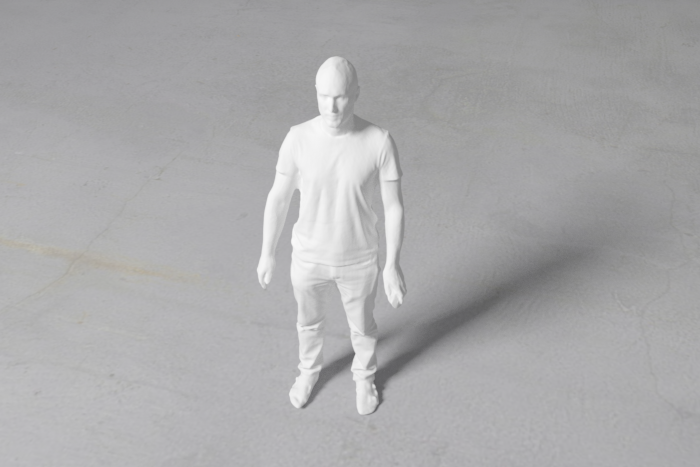 Fully automated pipeline for transforming full body 3D scans into 3D printable files. Sophisticated pipeline cleans, fixes, hollows and color corrects the meshes before adding well-positioned customizable baseplates. Baseplates have a logo as well as a tracking id underneath. Personalized relief keychains and smartphone covers. Strong material with highly detailed texture and nice finish. Often used as a lower-cost alternative to full 3D prints. Multiple scans integrated into single relief group photo or organizational chart. Strong material with highly detailed texture and nice finish printed on a metal baseplate. Automated rigging and animation. Results in a rigged and animated model or personalized videos. Rigging is powered by Embody Digital. Renders images and videos. Ideal tool for automatically creating visual / digital content. Also used to generate close-ups for quick visual inspection of digital input and output models. 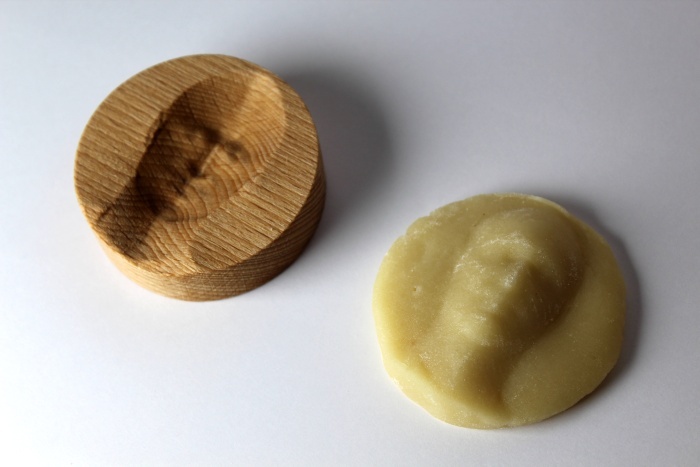 Create as many marzipan copies as you need with a single personalized marzipan stamp. Ideal tool for important events such as weddings. Why not link this service to your local bakery shop? Animated gif files. Automatically rendered and generated with integrated logo and background as provided via the admin platform. Automated upload to Sketchfab. Given your Sketchfab credentials, scans automatically appear in your Sketchfab account. Automated upload to AirShaper. Set wind speed and orientation, choose simulation accuracy and let AirShaper's algorithms create an entire simulation around your 3D model. For every simulation, you will receive a full aerodynamics report in no time and get tips on how to improve your design. 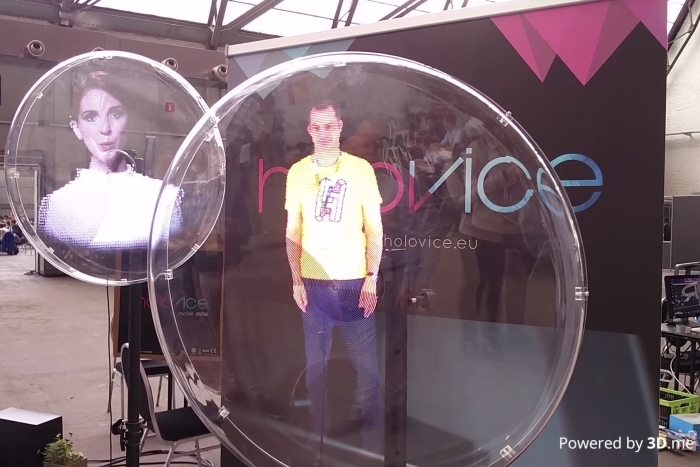 Convert your 3D scans, display them on a hologram device and attract people to your scan-booth. Offered as a cloud service as well as standalone software. You get access to a continuously expanding list of products so you can stay ahead on the competition. You don't have to worry about the "technical 3D details". You make the front, we provide the back via our easy to use cloud API. Having access to an online admin tool to keep track of everything you need, such as orders, settings, uploaded scans and many more. Your client doesn't need to know you're using 3D Body Cloud. Use this service fully in the background and white label the way you want. Data remains yours. We don't keep 3D body scans after processing is finished, we don't need user accounts or email addresses of your clients. No heavy 3D processing machines are needed. Fancy load balancing makes sure we can optimally exploit our hardware and limit energy consumptions, reflecting in the best price per task. Get notified when your task is ready. Intermittent waiting while performing manual 3D tasks is a time eater. Specialized 3D dev-team is on us, working on a wide range of products for everyone. Need some custom development? Contact us here and we get you the best offer. Looking for additional info? Just leave us a note!